Discounts of up to 20% on Packages. Try the Customise button for a unique package tailored to your needs. A SwiftReg inhouse design company to handle all your Web Design, Logo Design, Email and Web Hosting Needs. Need to know why you should use SwiftReg to register your Pty in South Africa. This short video will give you a quick overview of our extensive online service. Good:.. it`s relatively self explanatory and easy to use. I had a bit of an issue with uploading documents - which would have made the site excellent and had to phone in for assistance. Otherwise it was a hassle-free process. Excellent:.. Ease of use, and super speedy!! Excellent:The website is so user friendly. Very easy and understandable. Excellent:.. the process is very simple. At no point did I feel lost or in need of additional assistance. I found it self explanatory! Excellent:I loved the fact that everything was very straight forward . Excellent:it is easy to use. Good:..It gave me what i needed with very little resistance and confusion. 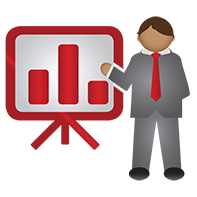 Excellent:..Very informative in all aspects of starting up the business. Excellent:... It was user friendly. Also small functions, like being able to copy information already on the form really helps. Excellent:.. I DID NOT STRUGGLE BECAUSE INTERFACE SO PROFESSIONAL AND USE-FRIENDLY. Excellent:I am able to quickly access my details as well as retrieve my password in case of forgetting it. The site is extremely user friendly. Excellent:.. simple and easy to navigate. Excellent:..queries get attended too in no time. assist in a very excellent matter to sort documents out. Good:.. every step is straight forward it does not need a genius to do this I love it. Good:it is a great step by step. unfortunately I need to stop at steps to get information about directors I did not know I needed. A `look-ahead` of onformation required will help. Excellent:the site is very user friendly. I also appreciate the my purchases tab, it`s very convenient. Good:it took me through logically. I did have questions which were answered telephonically. Excellent:..is is so easy to navigate through the process even though I have not done it for a number of months. 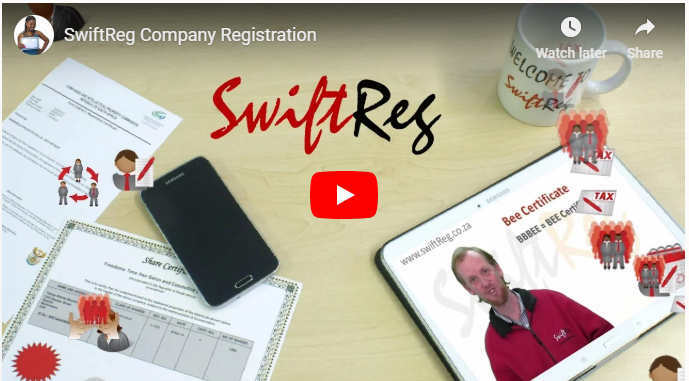 SwiftReg is one of the largest companies specialising in 'Company Registration' and related services. We register approximately 5% of all companies in South Africa and provide direct back end services to three of the largest banks in South Africa. We are the most advanced online service in the country and are backed up with a call centre operating Monday-Friday during business hours. We are honest about times and do not give you lies to win your patronage priding ourselves in excellent service, value for money, and good customer communication. Printer - to print the power of attorney, sign and send back to SwiftReg - All directors must sign. Think of four possible names, to be used during your pty registration, all different from each other. Check the spelling in an English dictionary. It costs to change it later. If your name is close to another well known brand, reject it now, its not worth the trial trying to fight for the rights of using it. Choosing who is going to be in partnership with you, during your business registration, is probably one of the biggest decisions that any business owner needs to make during the process of company registration. A Director managers the business and a shareholder owns it. You will probably be both a director and a shareholder. However if you are in partnership then you may have more directors and shareholders. You will need all their information such as Residential, Business and Postal addresses and cell phone numbers, as well as a good digital copy of their ID's on your computer. This you can do later, but without them we can not complete your company registration. You will need a printer attached to your computer. This is often overlooked, however you will have to sign a document (called a power of attorney) that gives us the right to register your company on your behalf. This will need to be printed and faxed to us. Although our competition boasts times that we believe are designed to mislead their clients, we know that a company registration usually takes about three weeks. We statistically analyze the speed of company registration and can usually predict the date of the arrival to a few days for your convenience. Although shelf companies are available they are not economical due to cost and time and therefore not advised. COMPANY Registration: Why do it? When you run a business, you are taking a risk. You will probably be loaning money from a bank or another institution to get you started. No-one lends money without expecting to get it back with interest. Now if your business fails and you can not pay the money back its very likely that the money lender will try to find ways of getting their money back. How he does this may vary depending on what you signed and what you promised to do. Now if you are not registered as a company, you would have loaned the money in your own name, and are subsequently more responsible for the debt. The lender then could try to get the court to force you to sell your house and other assets to pay back the debt. You will have no protection under the company act as you did not register a company. Now if you have completed Company Registration, and you loaned it in the name of your PTY, then there is more protection. The directors or shareholder could still be held responsible for the debt, however, but it does mean that the law sees the PTY as a legal entity, so their case is against a company, not against you. The fact that you registered your company could be a life saver. No-one likes paying tax. If you are not registered you will have to pay personal tax on all your profits. Personal tax has brackets, which basically means the more you earn the more you pay. If you are successful then your business will very quickly start to pay over 30% of its profits to tax. However if you are registered as a PTY then you will be able to choose how to distribute the profits. You have a lot of options available to you, all of which will help you save money. Your accounting officer or tax consultant will be able to give you advice on how to save money. 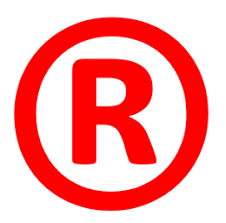 There is no doubt about the fact, that a registered company looks like a proper company. Impression counts in business. You give a good impression, then you will probably get the job. A registration number also gives people an indication of how long you have been in business as the year of starting your company is found in the first four digits. A lot of business can be gained through tendering for it. But you can not tender unless you are a registered business. You can use the shares to raise money. COMPANY Registration in South Africa: What is the process? After filling in the documents you will need to provide us with the extra documents that we will need before we can start your company registration. They can be summarised as "Power of Attorney","Copy of your ID's" and "Proof of payment"
The company registration process can be divided into two sections. These are the name registration section and the final registration. During the name registration your four name choices are compared against the national database for similar names. The reason for this is to prevent fraudulent companies, imitating each other, or competetive complications. If the first name is rejected then CIPC compares the second one, and this continues for all four. If all names are rejected then we are unable to continue with your registration. CIPC charges us for another four names, so I am afaid there is an extra charge if we send through more names. We will let you know if this is the case, and the charge then is R110. So it makes sense to watch all our videos about choosing the right name, so prevent complications in your company registration later. Also we provide a "Test Button" on the name capture page, which retrieves information of companies with a similar name to yours, which can save you the difficulty of having all your names rejected. Once your company is registered, the completed documents are emailed to us, and then we combine this with a 'post registration' digital document which will contain all the documents required by the bank, including your Share Certificates. Once the share certificates have been signed by the directors then they are valid legally. Your Company Registration is then finished. For your convenience we keep a copy of your company registration documents on our server under your login, so that you can retrieve them at any time, if perchance you have mislayed them. What can go wrong during Company Registration? Names are very important in Company Registration. In most cases many of our clients have already decided the name they must have and there are no other options. However the reality is that CIPC is very strict when it comes to names. 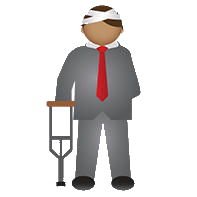 If your names are rejected, during company registration, it can be quite devastating for you. Your 'dream' may have to change a little bit so that you can find a new name, and this creates delays, also you will need to provide proof of payment for the R110 for your new names and we arent able to proceed without these names. The other thing that could go wrong is that your ID is not clear enough. CIPC likes to see your face clearly and if you send us bad copies or faxed copies then the image may descend into shades of black and white. We at Swiftreg try to warn you that it could be rejected and will request a better copy for company registration. This might take time for you to retrieve. Franchises must have a signed, original letter from the owner of the name to register a company with that name. Failure for us to retrieve this from you will cause your name to be rejected which creates delays. Owing to the fact that all ID's are checked against home affairs, married ladies, where there ID book does not reflect their new married name, may get rejected through the automated procedures. Such situations require a marriage certificate from this director and a manual process of submission, both of which take time, and delays the company registration procedure. It is important for anyone who is about to register a company to recognise the difference between Directors and Shareholders.. A Director is a responsible individual, over the age of 18, who is legally held responsible for the effective running of the business. If they financially mishandle the business, whether in failing to pay tax, or outstanding debt, they could be held personally liable. Shareholders own the business. These are individuals who have probably invested in the business, and if the business was sold, would receive the percentage of the proceeds in accordance with the percentage of what they own. They are responsible to appoint and fire the directors of the company (in most cases). The rules and pattern of this arrangement is specified in a document used during the registration called the MOI. 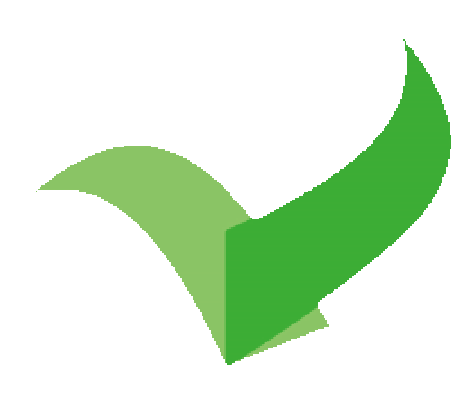 However we at SwiftReg would like to assist you with your Share Certificates and minutes to give you a head start, so we ask for all that information and send you properly laid out share certificates. Choosing who is going to be your share holder, is a very important part of business. Shareholders do have authority. We at Swiftreg use "1200" shares, owing to the ease that it can be divided equally between share holders, as no half shares are allowed. All documents completed by SwiftReg are sent to CIPC(Companies and Intellectual Property Commission) who processes them. The processing time varies significantly (3-8 weeks) and SwiftReg has no influence over the speed of this process therefore we are entirely at the mercy of CIPRO regarding all registrations. Please be aware that we have the same access to CIPC as the general public and in the event of delay we suggest that all your queries should be aimed at CIPC directly. Please contact the call center at CIPC (0861 843384) or check the following links for your documentation. This bulletin will show you the delay in the processing of documents submitted. SwiftReg's responsibility is to ensure that your application has been received by CIPRO. For this reason all our correspondence is hand couriered on a daily basis to CIPRO. Please note that the final documents are posted directly back to the new members and not to us. Should they be posted to SwiftReg, we will immediately post them to the Registered address. All companies should register for tax. You are welcome to use our Tax Registration and Tax Clearance service at SwiftReg at an additional cost. Its impossible to register a company for VAT before the registration has been fully completed. VAT numbers are only given by SARS after you have been trading for a while or can provide adequate proof that your future business will have a certain level of turnover. . Most Banks insist on the final original documents (Cor 14.3) to open accounts. Other checks could be to see if your directors are blackl-listed. If so then the bank may refuse to open the account until the debt has been paid. Please consult your bank directly to find out their requirements in this regard. We provide all company documents that the banks request to open an account. .
CIPC stands for Companies and Intellectual Property Commission. This is the government department responsible for all company registrations in South Africa. CIPC is based in Pretoria and was established in 1 May 2011. It was previously known as CIPRO. They process more than 20,000 company registrations per month. 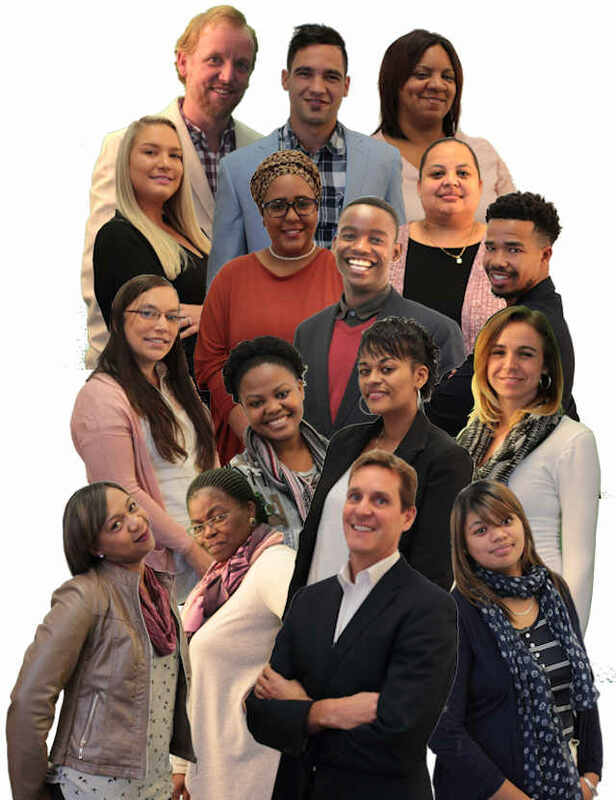 We occasionally refer our clients to the CIPC call centre 086 100 2472 so it is worthwhile learning the number by heart (sadly they only answer 28% of their calls). We therefore correspond mainly with CIPC via email to solve company registration problems. We email all our company documents to CIPC on a daily basis. Our company documents are uploaded to the CIPC company registration department. The completed company documents are then processed and emailed back to us. We then add the share certificates and forward these PDF or TIF attachments to our clients. The New Companies Act replaced the old Act on 1 May 2011. The old Act was completely rewritten to be more in line with international standards of company registration. The most profound change was that new Close Corporations (CC’S) and Sec 21 companies (now known as non-profit companies or NPC’s) could not be registered any more. However all existing CC’s company registration would be maintained by CIPC for an indefinite period; in other words if you have a CC you can still do member changes and name changes to it. New companies are now all registered as (Pty) Ltd’s which effectively replaces the CC. The main difference is that no auditors are required when registering a new (Pty) Ltd as was the case with the old company registration Act. The registration costs are also much cheaper than in the past and are now similar to that of the old CC’s. Another difference is that all the company registration forms changed and they are now known as CoR forms; previously they were known as CK and CM forms. SwiftReg has 3 groups of clients. 1. Walk-in clients: These are clients that come to our office and we deal with them on a face to face basis to assist them with company registration application documents. They often do not have internet access and will therefore collect the completed company registration certificates by hand. 2. Internet (General Public): These clients register on our website and will deal telephonically via our call centre. The completed company registration share certificates and documents are emailed to them. 3. Internet (Agents): These clients are also internet based and deal with our call centre, but they have registered via an Agent. The Agents could either be ABSA, Nedbank , Standard Bank or the Business Place and all complete the same company registration online process. This is a fundamental principle to understand registering a company as it applies to all company registrations. An easy explanation for this principle is to compare you and I as natural persons to companies which are all legal persons; all companies have the same rights as natural persons. For example, a company can own property, employ people, make profits, pay tax, sue people, as well as be sued, just like a natural person. The implications for this independent legal entity are far reaching as the company offers protection to its members/directors and shareholders in the event of it being sued. Claims are therefore made against the company and NOT the members/directors or shareholders, despite them managing or owning the company. The personal assets of the directors/members and shareholders are separated from the liabilities of the company. This protection is called limited liability. This procees only come into effect after the company registration is complete. Eg: For this example let’s assume you are a builder and operate your business through a registered company (Pty) Ltd. During a construction project the roof of the building collapses. The client is very unhappy and proceeds to sue you. In this scenario, they can only sue the company for damages and not you in your personal capacity meaning they can’t lay claim to your personal assets e.g. your car or your TV. This is because you are protected by limited liability. However, no protection is offered if the members or directors were negligent, fraudulent, misrepresented themselves or have signed personal surety. For example let’s assume you are in a partnership (not a registered company) and on holiday overseas. Your partner back in South African gets sued for whatever reason. On your return you can be held liable (responsible) even if you are completely unaware or innocent of the charges. Minors are persons under the age of 18 and cannot be directors of companies and can therefore not take part in the company registration application process. They can be members on a CC as long as the parents or the legal guardian sign on their behalf; as is the case with any legal contract. A Non-residence can be director of a (Pty) Ltd or a member of a CC as long as a South Africa registered and residential address is used they can continue with the company registration. The banks however require them to have a business licence which is obtained from Home Affairs and requires a R2.5m cash deposit. Foreigners who have Permanent Residence in SA will have a SA issued Green ID book are treated exactly the same as SA citizens and do not require a business license, they are just not allowed to vote. The 11th digit on their ID number will be a 1, denoting non-citizen as opposed to a 0 which denotes SA citizen. ID numbers are checked against Home Affairs database during the company registration online process. All ID numbers are checked against the Department of Home Affairs’ database during the company registration formation and if there is a discrepancy CIPC will not process the applications. The client must then rectify the error with Home Affairs before we can process it. What if the client does not have an ID Document, can he still do a company registration? The date of birth (DOB) can be used if the client does not have a South African ID. CIPC requires the following format: yy/mm/dd0000000 (the zero’s make up the 13 digits on the ID). If the ID document has been lost the client must prepare and affidavit and supply us with a copy of his passport or the company registration will not take place. South African citizens cannot use a drivers licence or passports; it must be the green ID to successfully complete the company registration. If the client has lost their company registration papers we can reprint a copy for them for free if the company registration digital document is stored on our server. Note: We can print company registration certificate disclosures for R60 per company from the CIPC website but the banks don’t accept these. There is also a free company registration disclosure certificate from CIPC which is useful to check the accuracy of the company registration information but it can’t be used as CIPC prints a watermark across the surface of the certificate. All banks must comply with the FICA (Financial Intelligence Centre Act) which lays down stringent rules when opening new bank accounts for your newly formed company registration. It is the same as RICA which is done for Cell phones to reduce fraud and crime. Clients need to refer to their business banker for their requirements to open an account for their new company. The bank will use their discretion in terms of opening accounts for the newly completed company registration, if the directors have bad credit records. We therefore recommend directors with bad credit records not to appoint themselves; they may however be shareholders in a company. If a member or a director of a company dies then an executor of the estate is appointed. If the deceased does not have a WILL explicitly appointing an executor then the government will automatically appoint an executor to wind up the estate. This is a time consuming process and may take months to complete. Note: A deceased member can only resign from a company with the signature of the executor of the estate. If the company has not done any business and is dormant it is our recommendation to rather start a new company registration. The banks also freeze the account. SwiftReg does not handle changes to companies or CC’s in such cases. Business Licences are issued by the Local Municipalities and are often confused with a company registration registered with CIPC. A business licence is a requirement if you own a tuck shop or sell food to the public to comply with health and fire safety. Business Permits are issued by Home Affairs and are for foreigners wanting to work in South African. One of the requirements for the business permit is for the individual to have a minimum of R.5 million in assets. The banks require a business permit for foreigners when opening a business bank account if they are a director of the company. The 3 stages of the company registration creation applies to all types of companies. They are namely, the Name application, appointment of directors and preparation of share certificates. All name applications are lodged electronically on the CIPC website on a form called a CoR 9.1. CIPC then emails the results back to us after approximately 1 day. If the names are rejected by CIPC (usually due to a comparative name) we will receive an email with an attachment called a CoR 9.5. (Name Rejection). The client then needs to submit a new set of 4 names at a cost of R110 per set of four names (CIPC cost R50). We repeat this process until one name is approved. The approved name is emailed back to us on a form called a CoR 9.4. (Confirmation Notice) as illustrated below. We use the CoR 9.4 for all new company registrations as well as name changes to Close Corporations and (Pty) Ltd’s. A number of clients manage to register their own names on the CIPC website but then get stuck when trying to complete the remaining part of the company registration and ask us to complete it for them. In order for us to use the CoR 9.4 registered by them, we need a letter of authority from them giving us permission to use the approved name and complete the company registration. There is a letter of authority they can use for this on our website. Once these are compiled and checked the company registration application documents are emailed to CIPC and it then usually take between 3-4 weeks to be registered and returned the company registration completed documents back to us. If successfully registered at CIPC we will receive a CoR 14.3 back. If CIPC rejects the company registration for some reason, we will receive a CoR 14.2 and we need to resubmit a new company registration application. Each CoR 14.3 is allocated a unique registration number which is similar to the ‘ID number’ of the company and will remain unchanged even if the name of the company is changed. 3. Preparing the share certificates for newly registered companies. Once we have received the completed company registration (CoR 14.3) we can create the share certificates. The 14.3, the share certificates and other supporting documents are then emailed to the client. CIPC does not register or issue share certificates. This is a value-added service offered by us which enables the clients to open bank accounts. Completed company registration digital attachments are emailed to the online clients and collected by walk-in clients not wanting documents to be emailed. These company registration or manual certificates are only printed on collection. Are the company registration documents originals? o All the CIPC company registration electronic documents, including the CoR 14.3, are emailed to us in a digital format; this means that there are no original CIPC documents as the document can be printed numerous times and on different types of printers. o If required, the authentication and verification of the company registration happens by calling the CIPC call centre on 086 100 2472. 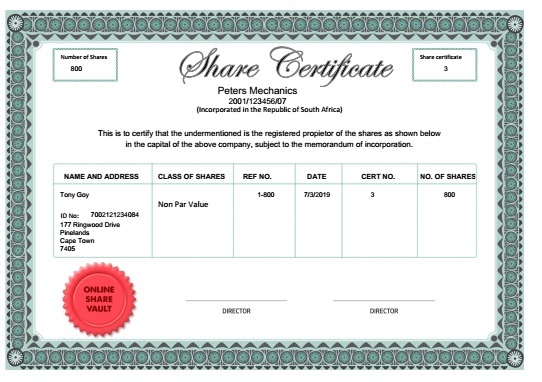 This may be confusing to many people but it has been the case since 2007.
o We mail the digital share certificates to our clients but the original share certificates are the ones the directors of the company sign. o It is the responsibility of the director/s not to duplicate the share certificates as there can only be one original. o Duplicated original (signed) share certificates are fraudulent and the directors can be held liable. This can be a very emotional aspect of the company registration journey as clients can be very insistent on getting their proposed name approved. It is therefore important to inform and educate the client as to how CIPC view all name applications. · If a descriptive word is used explaining what the object of the business is. eg Orion Shoe Manufacturing then the name is usually accepted. To avoid disappointment and save time during the company registration; it is advisable for the client to do a name search beforehand. This method is not 100% accurate and is merely a guideline. This test is accessed using the test button that is found on the place where you capture your four name choices. Once the company name is approved it is valid for a period of 6 months and it is during this window period that the company registration must be completed to ensure the client keeps the name. If the company registration is not completed the name may expire. Can someone object to your approved company name? Yes, even if your company name is successfully registered by CIPC, a company with a similar name or trademark may lodge an objection if they feel aggrieved by the conflicting name. They can to lodge an objection to the Companies Tribunal who will investigate and may instruct the offending party to change its name or complete another company registration. Note: The trademark and company names are currently not on the same database as company registrations; this is why problems with conflicting names can arise after the company has been registered. During the company registration, you have to choose the number of shares that must be made available so that the shares can be issued to the shareholders. The total number of shares are known as the authorised share capital. We default all our companies authorised share capital of 1200 shares. These shares have to be "distributed" (the correct term is issued) to the shareholders. Not all the authorised share capital has to be issued to the shareholders. However we (SwiftReg) have chosen to issue the entire 1200 shares to the shareholders for all new company registraions, meaning that no unallocated shares will remain with the company. We do this to simplify the process by avoiding the need to explain to clients the complexities of having unallocated shares still in the company. Each company must choose any month of the year to be the company’s financial year end when applying for a company registration. During this month all the company’s’ tax affairs must be up to date and the tax payable must be paid over to SARS. Most companies choose the end of February as this coincides with the Governments financial year-end which is when the budget is presented to Parliament and the new tax tables are made available. What is a registered address when you register a company? When completing the application for the company registration you come across many different addresses which are required namely: residential, postal, business and registered address. Often all these address can be the same address. The registered address is the most important address as all CIPC, SARS (tax) correspondence including summonses are sent to the registered address. To change the registered address CoR 21 must be used. If you are changing the address on an old CC, a form CK2A must be used. · A private company is also a legal (juristic) person where the liabilities of its shareholders are limited. This means on completion of the company registration, the company is liable for its own debts and not the shareholders personally. · The shareholders own the company and appoint the directors to run it on their behalf (a shareholder can also be a director). · A private company can have unlimited shareholders. In a private company, if a shareholder wants to sell his shares he must first offer it to a fellow shareholder in the same company before he can sell it to the general public. · A public company can freely trade its share with the public without permission of other shareholders. 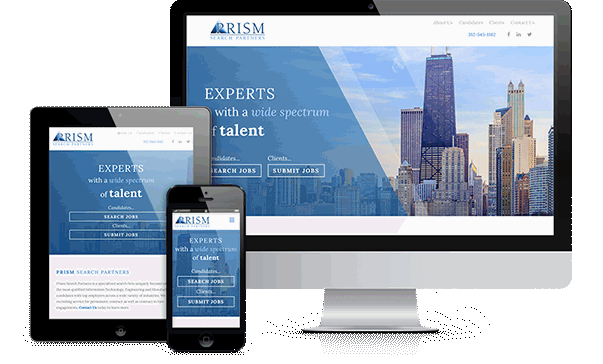 · Incorporations are virtually the same as private companies but are used exclusively to register professionals such as accountants, lawyers and engineers. · The only difference from a private company registration is that all current and past directors are jointly and severally liable, together with the company, for the debts of the company contracted during their period of office – it is effectively just like a partnership. · The MOI used for Incorporations is the CoR15.1B and costs R475. It is too costly and complicated for us to offer as a service. Reg No: year/123456/23 – Although new CC’s can’t be registered, SwiftReg still supports changes and admin on existing CC’s such as annual returns. Since the introduction of the new Act on 1 May 2011 new CC’s can no longer be registered. CIPC will however maintain existing CCs for an indefinite period. This means member changes and name changes can still be done on condition the annual returns are paid up which is why it is important to understand CC’s. · A Close Corporation is a legal entity and therefore the member(s) have the protection of limited liability. · A maximum of ten natural people or a trust is allowed to hold membership in a CC. There is no limitation in respect of the number of employees in the Close Corporation. · At all times 100% of the membership in the CC must be owned. This means that if there are 5 members, all with equal membership (20%) and one member desires to resign the remaining 4 must take up his membership and now all will own 25% each. This means that all parties must agree to any membership change. · A CC requires a bookkeeper to be appointed. Since the introduction of the new Act no new Section 21 Companies can be formed, they have now been replaced with a NON Profit Company or (NPC) which is basically the same thing just with a different name. 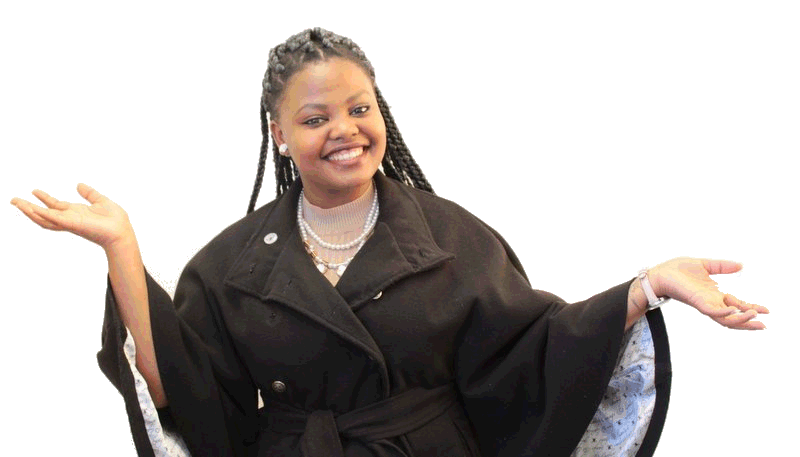 · A NPC is usually a community based upliftment project such as an AIDS Awareness Project. · The most important aspect of NPC is that there are NO SHAREHOLDERS and therefore no profits which is why it is called a Non Profit company. · SARS does not automatically exempt NPC’s from tax and the NPC must apply to SARS and prove their case in order to be exempt from tax. · NPC can’t sell any of its assets for a profit but must donate it to a similar organisation. · The bulk of the income it generates must go the object of the business. · The standard MOI (CoR 14.1C) which is drafted by CIPC is accepted by the Tax Exemption Unit for SARS this means that the MOI does not have to be modified to include Section 30 (which deals with the tax exemption for NPC) of the Income Tax Act. The company must just give a written under taking that it will comply with Section 30 of the Income Tax Act. A cooperative is an undertaking whereby a group of individuals strive on a voluntary basis to meet their mutual economic and social needs in such a way that the economic advantages derived there from are greater than that which the individual could achieve on his own. There are two ways to register companies. 1. The most popular method is to apply for your own name. eg. Orion Engineering. 2) 1 Point for each R1m turnover p.a. If the total of all the points add up to more than 350 points the company must be audited. If the points are between 150 and 300 then the company is subject to an independent review. Most companies fall below 150 points and therefore do not require an audit. Auditors are highly qualified chartered accountants known as CA’s who are very expensive which is why most companies don’t want to be audited annually. An incorporator is the person or company forming a new company. To simplify the registration process SwiftReg only caters for natural persons wishing to be the incorporators. Furthermore we make all the directors of the company the incorporators and for simplicity sake do not ever refer to this terminology. On completion of the company registration we issue the share certificates to the shareholders. The directors are therefore the incorporators. The shareholders of a company are the people who invest money in a company by buying the shares and they appoint the directors to run the company. In other words the directors run the company and the shareholders own the company. The shareholders can therefore fire the directors if they do not do a proper job. However, the shareholders can be and often are also directors of the company. This concept is often misunderstood during the company registration creation process. There must always be a minimum of one director appointed on a company or the company registration will not be completed. The directors must be natural persons older than 18 years, therefore no minors nor companies can be appointed as directors of a company. In terms of the liability a shareholder can only lose the amount of money they paid for the shares i.e. the value of the shares can never be less than zero. The directors even though they may not be shareholders can be held personally liable, and even if they have invested no money into the company can be sued personally. What is the difference between Executive and Non-executive Directors? Non-executive Directors only attend periodic board meetings in an advisory capacity and are not involved in the day to day running of the company. They are only paid for the meetings that they attend. They are appointed using the same CoR 39 form with CIPC as CIPC does differentiate between executive and non-executive directors. After the completion of the company registration you may want to change directors on the existing company. A CoR 39 form must be completed. Note: When a new director is appointed the effective date is when the directors minute the changes and not when CIPC process the changes. What is the difference between Directors and Shareholders? Why is it not recommended to appoint many directors when register a new company? 1. Individual credit checks are done on each director before opening a bank account and if one has a bad record the banks won’t open the account. 2. For all overdraft facilities each director must sign personal surety. 3. All directors have a fiduciary responsibility, meaning they can be held personally liable if they trade recklessly. 4. Increase administration regarding all company secretarial work. 5. If the company is de-registered the directors can be held personally liable for any of the liabilities. 6. The decision making process is cumbersome. 7. When registering a company It is therefore better to be shareholder rather than a director as shareholders own and control the company without the liability. There are two main categories of shares, namely ordinary and preferential shares. · Ordinary shares are the most common type of shares and usually have voting rights. This means that the shareholder can have a say in the running of the company by voting at shareholder meetings. · There are many types of preferential shares namely: convertible, redeemable, cumulative etc. Preferential shares essentially mean they have preferential rights over ordinary shares. An example would be if a company is liquidated preferential shares get paid out in full before ordinary shares so if there is any money left the ordinary shareholder may not get paid. However, preference shares do not normally have voting rights. The MOI (Memorandum of Incorporation) is a registered legal document which sets out the rights and obligations of the shareholders and the directors within the company. It also ensures that the director/s and shareholder/s act in the best interests of the company. · Directors and Members used for Golf Estates where the owners will be the members at R475. The Act allows for two classes of members; voting and nonvoting. Usually, the members have equal voting power, but the MOI does allow for certain members to have greater voting power. The Non Profit company registration must state in the MOI (Not the COR forms) what its object is, a (Pty) ltd does not have to do this. A (Pty) Ltd’s company registration does not have to state the nature of their business in the MOI as was the case in the old Act. This means that all companies can trade without any restriction in any type of industry. If a company chooses to restrict the nature of its business or its powers, it is required to amend its MOI to reflect this as well as adding the letters RF (Ring Fenced) after the (Pty) Ltd. This is to serve as a warning to anyone dealing with the company that there is a restrictive condition in the MOI of the company which may have a material effect on them. All NPCs company registrations have to state the nature of their business in the MOI which by its very nature is a restriction. However CIPC has ruled that it is not necessary to suffix RF after the name as NPC already warns the public that there is a restriction and the RF is therefore not required. Companies must file within 30 business days AFTER the anniversary date of its incorporation while close corporations must file within the anniversary MONTH of its incorporation up until the month thereafter (effectively 2 months) It is important to note that CIPC does not allow access to file the returns before the due date. The amount of money a company has to pay to CIPC for its annual returns depends on what type of company it is e.g: CC or (Pty) Ltd (new or old Act) and what the turnover is. The turnover is calculated on the last financial year (not calendar year) so that the CIPC can compare it with SARS for accuracy. Note: We charge R150 plus the CIPC fees for annual returns. If a company is not active the members may de-register the company. To de-register the members must write a letter to CIPC (On the company letterhead) stating that the company is dormant, and has no assets, no liabilities and all the members intend to de-register the company. All parties must be in agreement and sign this letter. CIPC will then inform the relevant government departments e.g. SARS, WCA, UIF etc. as well as place an advert in the Government Gazette. There are no costs involved. Another option is that the client does not pay the annual return and then CIPC will automatically deregister the company for them. The assets of the company then belong to the state and the liabilities remain with the company which now does not exist, effectively relieving the director/s of their responsibilities. This put banks in a very awkward situation if there are loans involved until the companies are restored and the annual returns paid. The clients often opt to a new company registration as opposed to restoration. On 1 November 2012, CIPC introduced new legislation which makes it very difficult to restore a company once it has been deregistered. It is therefore cheaper and quicker to a new company registration if the company is dormant, has no assets and liabilities and has not conducted any business. However, if the company owns a fixed property it will need to be restored as the property cannot be sold until all the annual returns are paid up in full and CPC has restored the company. This may take some time and be a costly exercise, depending on each individual scenario. How to restore my company? 1. Certified ID copies of each director/member. b. the Department of Public Works (andre.meyering@dpw.gov.za or 012-337 2147) indicating that they do not have any objection to the reinstatement. .
b. the original deregistration if the company itself applied for the deregistration. 6. Sufficient documentary proof indicating that the company was in business after the time of deregistration eg. bank statements, invoices or other documentary proof. 8. Once all of the documentation is gathered it can be posted to P O Box 12322, N1 City, 7463 together with proof of payment for R480, alternatively, the documents can be dropped off at our offices in N1 City with proof of payment or cash. Once we have all of the above information we will submit the application to CIPC who will then unlock the company. This will allow us to access the company profile online and determine the amount of outstanding annual returns which are due. Our fee is R150 plus the CIPC cost to complete the annual returns online. The client needs to pay the extra amount into our account which will allow us to complete all the returns and restore the company status to "in business" This is such a frustration process and the main reason why our clients prefer to rather do a new company registration. MOI : What is the memorandum of Incorporation? What is a Director and what is a Shareholder? Why is it recommended not to have too many directors? What is a shelf company Shelf Company? By far the majority of our clients receive their companies between 1 and 5 days after completing our process. (And all their documentation is complete) However as the registration is done by the government, delays have been known to occur, so SwiftReg, who is only the messenger, cannot guarentee delivery within these days. Not researching your company name carefully, or not providing a variety of choices can cause rejection of names and subsequent delays, as well as home affairs not having your correct details on file, such as after marriage, where your surname changes.